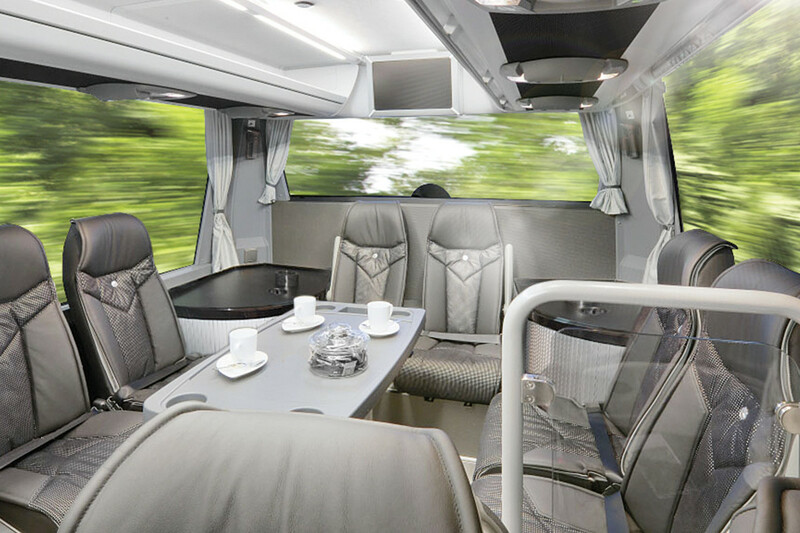 With our conference buses, you have all the options for working efficiently on journeys as well, in a special ambience. Let yourself be inspired on the road as well or strengthen your team with a special experience. 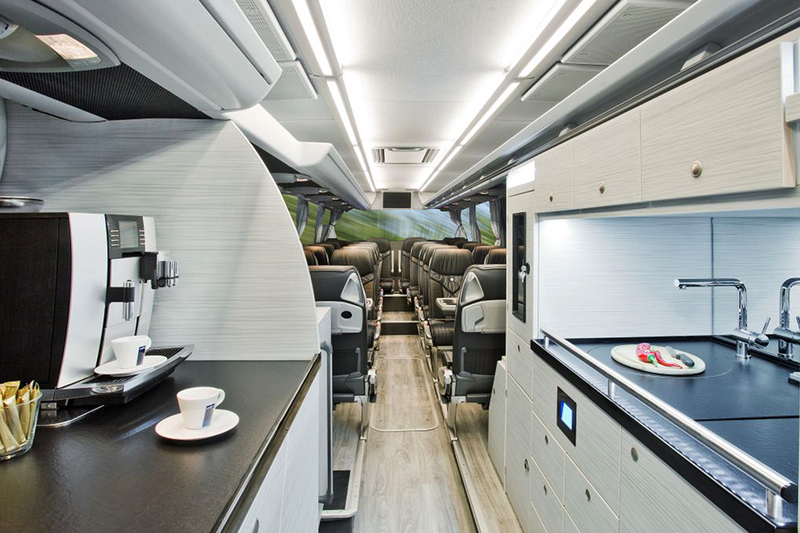 Each of our luxury conference buses can be flexibly adapted to your needs and will impress you as well as your customers and partners. Use our buses for an unforgettable anniversary celebration. You decide how you would like to use of exclusively equipped buses – we take care of everything else. We look forward to enthusing you as well!